“Hello fellow modellers! My name is Gavin Cross I would like to let everyone know I have acquired all of the rights and product lines from the formally known WWII PRODUCTIONS. This includes all the product lines for both 1:48 and 1:35 scales series that were sold by WWII. I am currently working on getting production up and running as you read this. Some lines have been adjusted and updated given new details that have come to light or new kits that have hit the market since they first launched. In saying that not much is needed as many of you know they were and still are fantastic tracks and sorely missed! I have a few very key people behind me on this to ensure that the end product can live up to the expectation that has been set in the past by WWII and will be expected in the future as the lines re-launch. 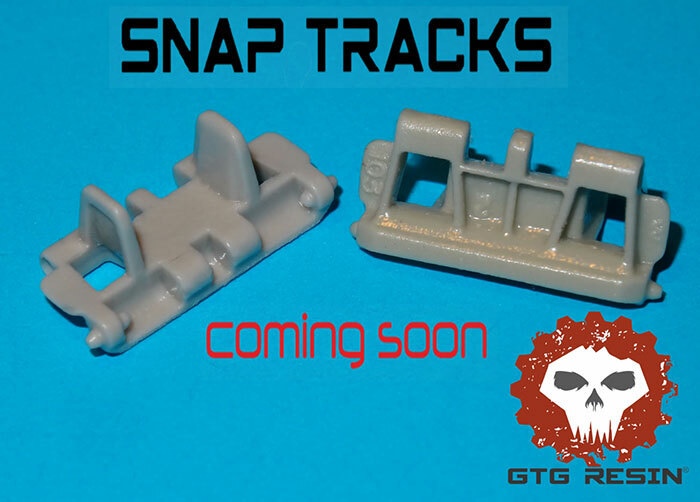 I am excited and proud to say these will still be produced and made in The Land Down Under and will be available via a new brand known as GTG RESIN you can check for updates via News and Facebook https://www.facebook.com/gtgresin/ . Along with the past product lines (not all will be launched at once) there will be a few new sets to come out at launch. All sales will be direct via a new webstore that is planned to launch along with the new product lines. Again I will share details on this soon. I hope that this news is music to a lot of ears and I look forward to dealing with all of you soon!